Last month, Times Union journalist Bethany Bump published an article about the role housing plays in health. Saratoga County is the Capital Region’s healthiest county, and evidence shows safe, affordable housing and neighborhoods is a huge factor. In Saratoga County, 12% of residents say they face severe housing problems: compared to 16% in both Albany and Rensselaer Counties.  While our mission is to build a world where every single one of us has a safe, decent and affordable place to call home, here at Habitat Capital District, we specialize in serving Albany, Rensselaer and southern Saratoga Counties (and specifically the cities of Albany and Troy). And learning that 16% of our neighbors experience severe housing problems – and that it has a real, tangible effect on their health – is a sobering reminder that we have so much more work to do. And we can’t do it alone. We cannot build ourselves out of this affordable housing crisis. While we can specialize in housing, we must collaborate with health, school and community organizations to help build our vision of a safe, decent and healthy world for all of us to call home—here in the Capital District and around the world. The article continues that the impact is beyond housing costs alone. Disinvestment from neighborhoods causes underfunded schools and food deserts, which have adverse effects on the well-being of the entire neighborhood. We know this to be true in our focus neighborhoods. Sheridan Hollow, Albany, used for decades since the European establishment of Albany as a dumping ground + tenement community. In more recent decades, the neighborhood was home to a gas plant to power Empire State Plaza, and much of the land was used a private parking lots. North Central Troy, where working class families of the Collar City’s manufacturing boom could afford housing until deindustrialization prompted total disinvestment from the historic neighborhood. A note of hope: These neighborhoods are currently revitalizing, with invest from local, state and federal funding. However, there is still much work to be done. This is why we are committed to raising the entire quality of living in our neighborhoods. We are committed to aiding our neighbors in the revitalization of their communities, so families and their neighborhoods can know the strength and stability of being able to exchange ideas, goods and services, and smiles – to build together a more beloved, more just community. What we know here at Habitat is that strong, stable homes can help build strong, stable communities. When cities reinvest in our neighborhoods and property is returned to the tax base, entire communities thrive. Schools receive more funding and children has safe places to study and to play. When our neighbors don’t have to worry about mold, lead and other household toxins, healthcare costs decrease, saving money for both households and for taxpayers. When rent and mortgage payments are affordable and non-predatory, families can save for the future and mixed-income residents can learn from each other. “No one should have to move out of their neighborhood to live in a good one,” Bronx native and community development strategist Majora Carter recently shared at the 2019 Habitat conference. We need creative solutions that diverge from the very systems that created the problems we are faced with. Solutions like cooperative businesses, community-owned land trusts, renewable energy sources. Development can no longer have the singular goal to maximize profit. We are all responsible for each other, our mutual well-being and our future. It’s up to all of us, together.